Our maps make impressive and readily understood graphics for medical facility advertisements, brochures and websites. These maps ensure that visitors can find their way through a labyrinth of buildings and parking lots. Detailed floor plan maps for individual buildings can be commissioned as well, while regional maps identify geographic sites of corporate medical facilities. In this view of a large hospital campus, each building area has been accentuated to make it stand out a little from the others in the complex. This project also included a detailed interior floor plan of the main facility. This medical campus extends over a broad area of Tupelo, Mississippi. The main hospital center is shown in detail along with a host of other offices and medical facillities. Also included in this project was a floor plan schematic for the main hospital building. This map offers a more whimsical rendition of Cincinnati, Ohio where Medpace is located. For example, the road net is not drawn to scale, but is sufficient to guide visitors to the Medpace offices. Significant downtown landmarks and hotels are also highlighted. A major medical provider for McHenry County Illinois, this colorful map highlights Centegra’s facilities in several adjacent communities. 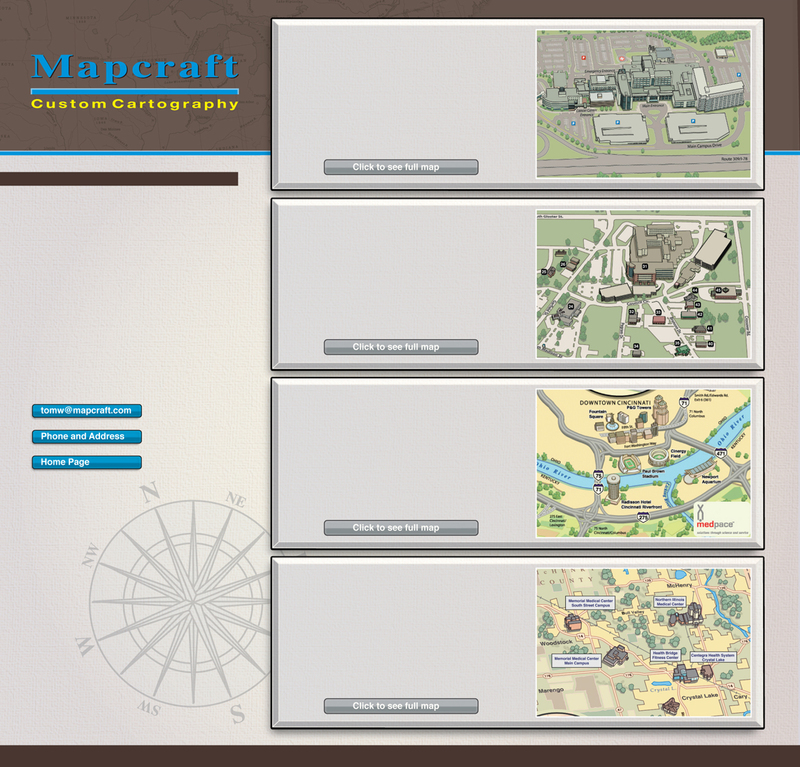 System-wide maps aid clients with fundraising, grantwriting and board management efforts.